Possible Vending Machine Mandate for Government Buildings? Thousands of vending machines across the District could be getting a makeover, if one council member gets her way. Ward 3 Councilwoman Mary Cheh has introduced a bill that will limit junk food options in government-run buildings in the city. She says it's really about offering healthier choices for employees in the city, not completely eliminating the availability of Doritos, Milky Ways and the like. "We're not prescribing what you choose," Cheh told the Washington Examiner. "But you ought to have the opportunity to choose something that's healthy." 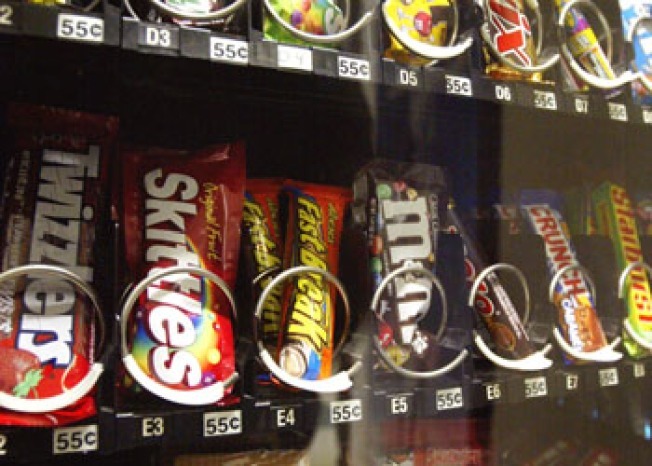 Her proposal calls for half the contents of vending machines in federal and municipal buildings to adhere to a "healthy" standard, which will be determined by the mayor. The bill will have public hearings and committee votes before the full council makes a decision. Read more about the legislation at the Washington Examiner.